Even before its mid-September opening in 2005, RUSSIA! garnered a great deal of positive advance press in the United States. In its September issue, the fashion magazine Elle included this “stupendous exhibition” as #24 in its exclusive annual “Top 25” list.1 Vogue proclaimed that the show would make clear that between icons and abstraction, Russian art was far from a “Siberian wasteland.”2 To be sure, such articles were related to the predominance of Russian-inspired styles in the fashion industry’s fall lines, but they spread word of the show to these publications’ substantial readerships. Andrei Rublev: Image of the "Holy Trinity"
In 1929, the Zagorsk History and Art Museum passed over the most acclaimed Russian icon, the “Holy Trinity” by Andrei Rublev, which is considered the acme of Russian national art, to the State Tretyakov Gallery; since then the icon has been kept under the constant attention of its curators and restorers. 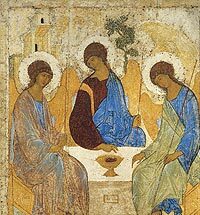 Rublev’s “Holy Trinity” has attracted thousands of people of every creed, profession and age with a common desire to worship this ideal of beauty and true spirituality, executed with perfect artistic means. The immediate impression of any viewer seeing the album "The Icon Collection in the Tretyakov Gallery" is to feel the impulse to exclaim "splendid!" Published to mark the 150th anniversary of the treasurehouse of Russian art by the ScanRus publishing house and financed by the member of the Board of Trustees of the Tretyakov Gallery Vitaly Machitski this unique publication brings to mind the lines of Pushkin: "The muses at work eschew ado, The beautiful must be majestic." Modern publishing devoted to the popularization of the history of international art is amazingly diverse, and the book market has a wide variety of publications to offer. Regrettably, it should be noted that the quality of art books and albums published today very rarely matches their quantity. Re-issues of popular Western album series, translated into Russian, make our bookstores look like their London or Paris counterparts. This is good because now every person who is more or less interested in the history of architecture, painting and sculpture can find as much information as he or she needs about the subject concerned and can acquire the books for any private library. However, coming across a real gem, the one that makes the buyer of a new publication feel the joy of discovery and appreciate the book's lasting value - alas, this does not happen often. IT WAS IN JUNE 1920 THAT THE GROUP UNOVIS ("AFFIRMERS OF THE NEW ART"), CENTRED AROUND THE FIGURE OF MALEVICH, ISSUED FIVE TYPED COPIES OF THE ALMANAC OF THE SAME NAME, CONTAINING ARTICLES, MANIFESTOES, DECLARATIONS AND DRAWINGS BY ITS MEMBERS. 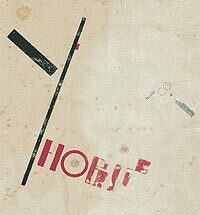 IT IS KNOWN THAT ONLY TWO COPIES HAVE SURVIVED: ONE OF THEM WAS PRESENTED BY MALEVICH TO DAVID SHTERENBERG, AND THEN SOLD BY HIS HEIRS TO A PRIVATE COLLECTOR; THE OTHER, WHICH HAD BELONGED TO EL LISSITSKY, WAS DONATED TO THE DEPARTMENT OF MANUSCRIPTS OF THE TRETYAKOV GALLERY BY S. LISSITZKY-KYUPERS IN 1959. THERE IS NO INFORMATION ABOUT THE OTHER THREE COPIES. The history of Russia's oldest museum, now named the "Moscow Kremlin" Historical and Cultural Museum-Reserve has a long history. 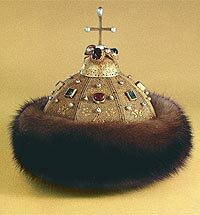 Its numerous collections originated in the 14th-early 15th centuries, during the reign of the first Grand Princes of Muscovy – Ivan Kalita, Dmitry Donskoi and Vasily I. 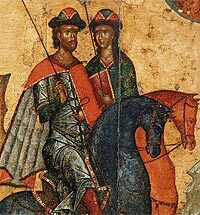 In their wills, they bequeathed to their offspring golden caps, sabres, tableware and jewelled waist-belts, which soon came to be regarded by their contemporaries as ancestral relics that "protected the family" and symbolized its political power. "The Spark of Peter the Great"
The exhibition “Tsarina Elizabeth and Moscow”, running at the Tretyakov Gallery from December 9 2010 to March 27 2011, commemorates the 300th anniversary of the birth of the Russian empress. Staged in the Engineering Building on Lavrushinsky lane, it concludes a trio of shows that have run there over many years: the first project, “Catherine the Great and Moscow” (at the Krymsky Val building), took place in 1998. That was a pioneering effort to introduce to the public the artefacts of “imperial” history and culture, which were kept away from the public eye under Soviet rule. 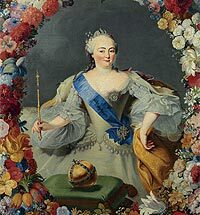 The ties between the great female ruler of Russia and Moscow had never before been the subject of careful study. A year later the exhibition “Peter the Great and Moscow” opened in the Engineering Building, marking the 300th anniversary of the Grand Embassy of Peter I. Mark Antokolsky: " I have done everything I could..."
Radical shifts in art are very often connected with the birth of outstanding creative personalities. The second half of the 19th century was just such an example: over a short period of time a real constellation of art-stars appeared, who inspire true lovers of art to this day. 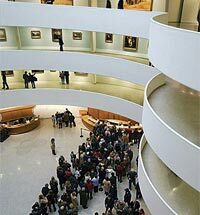 Among them is the sculptor Mark Antokolsky; the attitudes towards him of art critics from diametrically opposed wings of art – the democratic and the academic – were as different as the trends of art they represented. 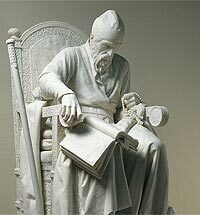 This juxtaposition did not make his life easier, but did make him a notable figure in the history of Russian sculpture. 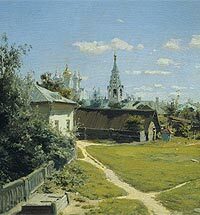 In June 1877, Vasily Polenov came to Moscow, intending to work on a subject from Russian history – “The Tsar’s Unworthy Daughter Takes the Veil” – and to settle in the capital for some time. Sergei Diaghilev occupies a special place in the culture of the 20th century – many publications have analysed his personality and artistic projects. 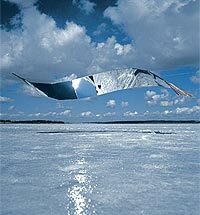 But who can state that the puzzle of Diaghilevʼs infinite creativity has been unriddled. For many, he is not so much a real person as a composite figure of the ideal impresario, in whom the talent of an organizer was married to an exceptional sensitivity and receptivity to any innovation in art and, of course, the faculty for finding like-minded individuals and financing for his projects. The eleventh issue of the journal Experiment is a collection of articles on Pavel Filonov edited by Nicoletta Misler, Irina Menshova and John E. Bowlt. Published in Los Angeles in 2005, this issue is dedicated to the memory of Evgeny Kovtun (1928–1996), who devoted his life to the study of modern Russian art and to the art of Pavel Filonov in particular. 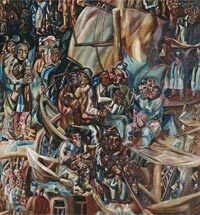 The experience of the Great Patriotic War found a crucial place in the heritage of Sovietera art. 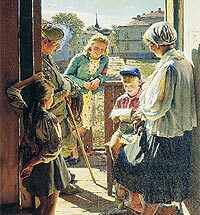 As a theme that continues to stir strong feelings in Russian society to this day, its existential conflux of tragedy and triumph on a personal level overlapped with official interest in the subject, considered a crucial one for cultivating patriotism and political stability in Soviet society. Accordingly, warthemed art combined deeply personal motivations with levels of opportunistic ambition, something that determines both its variety and quality.